I don’t get excited about new films like I used to do as a teenager. It’s a factor of growing up (or growing “old” as the case may be). I have subsequently found anticipation for an upcoming movie is too often muted by lacklustre film-making. Writers and their directors regurgitate the same old stories with a new bell and whistle (and more than likely a healthy dose of CGI…or god forbid: 3D!). I can chart this demise to my once unyielding adoration of everything “new Hollywood” back 13 years to 2000 when me and my close friends saw A Perfect Storm in the theatre. 2000 was the year, when we were all 17, that our high school friendship was reaching its final hurrah before we all went in different directions (based on which universities would accept our lazy asses). 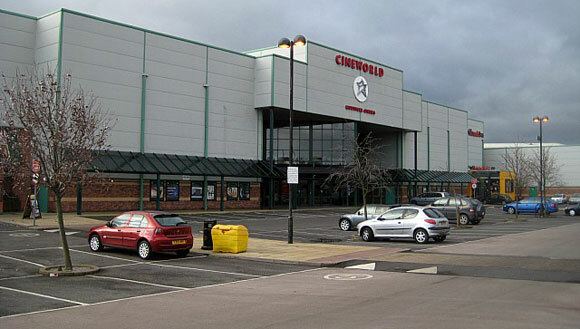 Group cinema trips to Wakefield’s Cineworld followed by the usual argument surrounding a film’s merits or lack thereof, as well as a box of Popcorn Chicken from KFC and a smelly bus ride home, were soon to be a thing of the past. But we could rejoice old rituals one final time and A Perfect Storm was the ideal “blockbuster” to bookend this period of coming-of-age. How wrong we were…! Group cinema trips to Wakefield’s Cineworld followed by the usual argument surrounding a film’s merits or lack thereof, as well as a box of Popcorn Chicken from KFC and a smelly bus ride home, were soon to be a thing of the past. It wasn’t that A Perfect Storm didn’t offer the discerning viewer’s anticipation a healthy dose of satisfaction. Heck, it was hardly a film you could go into without expecting something really BIG. Wolfgang Peterson at the helm (the man who had so recently delivered the thrills of Air Force One; and who could forget his classic U-Boat movie Das Boot), a terrific cast of Hollywood stars (Clooney, Wahlberg) and character actors (John C. Reilly, William Fichtner, Michael Ironside), and the promise of some astonishing at-sea photography recreating 1991’s real life “perfect storm”. However, waiting three hours for a huge wave to topple a fisherman’s boat is not a film worth: a) your time or b) your money. Indeed, never have I seen a film, before or since, so hated by our little group of cinema-loving nerds. That was the year I learned to dilute any anticipation I had in favour of a guarded understanding of Hollywood’s ideas machine. The thinking behind this new regime: how can a film disappoint if you aren’t expecting a lot from it in the beginning. This is the way I look forward to films nowadays. I watch the trailers, I read the reviews, and keep up to pace with the hype, but I “curb my enthusiasm” for this medium I love. It makes it all the more worthwhile in the end. If there’s a film to anticipate great things from then Gravity is most certainly one of them. That’s thanks to Alfonso Cuaron who hasn’t put a foot wrong as director yet. 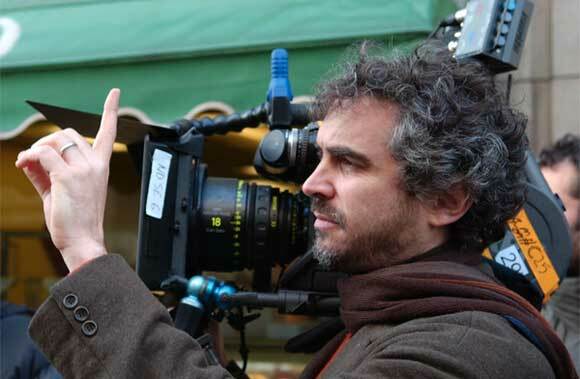 Writing and directing Y Tu Mama Tambien and Children of Men is one thing but he was also at the helm for the best Harry Potter film – Harry Potter and the Prisoner of Azkaban. Gravity, which he has co-written and directed, is a science-fiction drama starring Sandra Bullock and George Clooney about astronauts who try survive in a damaged space station. Cuaron’s eye-catching photography, bleak but fascinating portrayal of the human condition, and ability to find unique ways to tell a story in familiar genres will give Gravity every chance of being one of the best of 2013. Will Ferrell is back in the role that made him a household name. 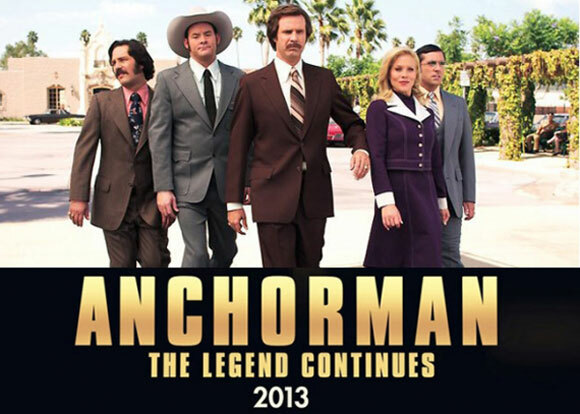 Anchorman: The Legend Continues sees the old gang back together again for more misadventures in the world of TV news. Set in the 1970s, the film also stars Christina Applegate as Veronica Corningstone, Paul Rudd as Brian Fantana, Steve Carell as Brick Tamland alongisde David Koechner, Fred Willard, and a host of cameos. This new film from The Deep End directors Scott McGehee and David Siegel scored rave reviews when it was previewed at the Toronto Film Festival in 2012. Screen International said, “What Maisie Knew is a closely observed and deeply emotional drama…the latest from directors Scott McGehee and David Siegel wrings tears but does so with a great deal of tenderness and intelligence.” The film stars Julianne Moore, Alexander Skarsgård and Steve Coogan. 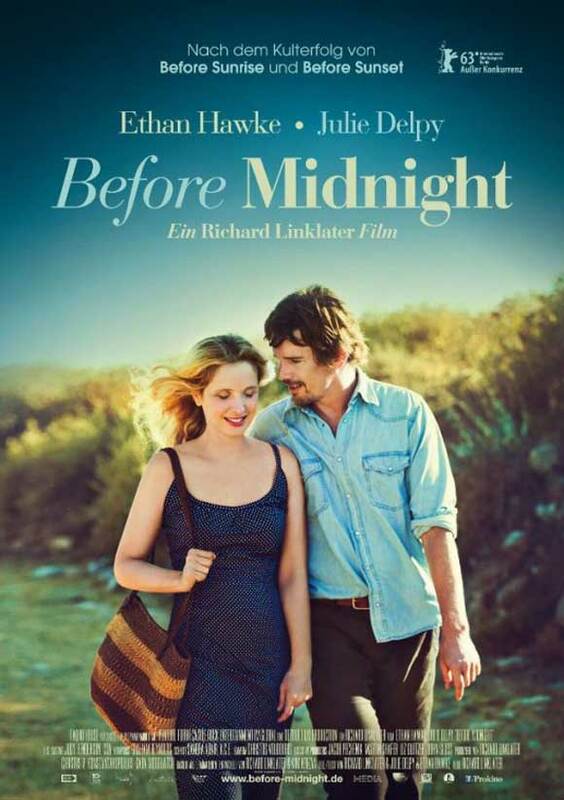 Writer-director Richard Linklater reunites with Julie Delpy and Ethan Hawke (who both provide helping hands on writing duties) to bring audiences up to speed with the latest goings-on between will-they-won’t-they get together pairing Jesse and Celine. The third film in a series which began in 1995 with Before Sunrise and continued through 2004’s Before Sunset, tells the story of a couple who discover over the course of one day that they’re made for each other but constantly pulled apart by circumstance. 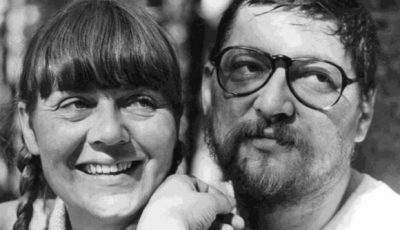 The first two films in the series were critical successes and audience favourites so it is understandable to expect the same from part 3. District 9 director Neill Blomkamp’s new film is a science-fiction film set in 2154 about how part of the population live in peace and comfort aboard Elysium, a space habitat orbiting earth, while the rest live on a poverty and crime-ridden earth. 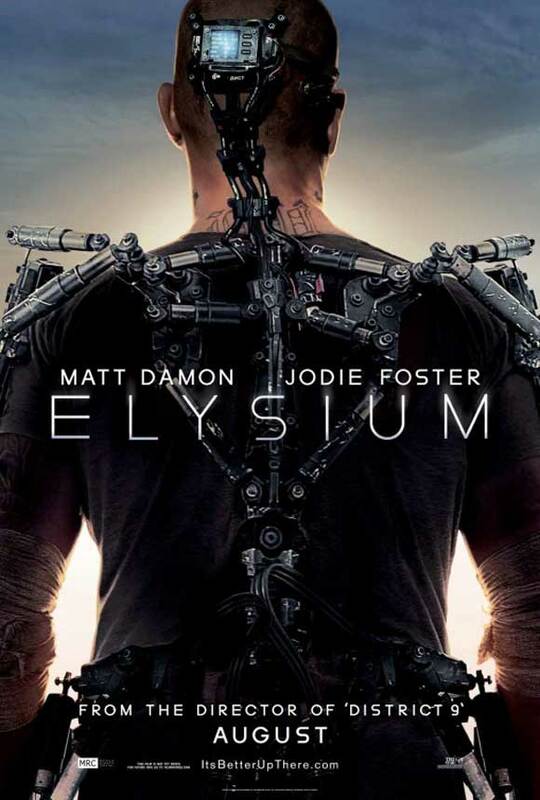 Desperate for the medical care available on Elysium, earth’s populace is prevented from accessing Elysium by its anti-immigration laws and those who will stop at nothing to preserve its luxurious lifestyle. Hope comes in the form of Matt Damon’s Max Da Costa who begins a dangerous mission that could save billions of lives on earth. Expect great visuals, originality and a fascinating, engaging story that will not only thrill but make you consider your own preconceptions. 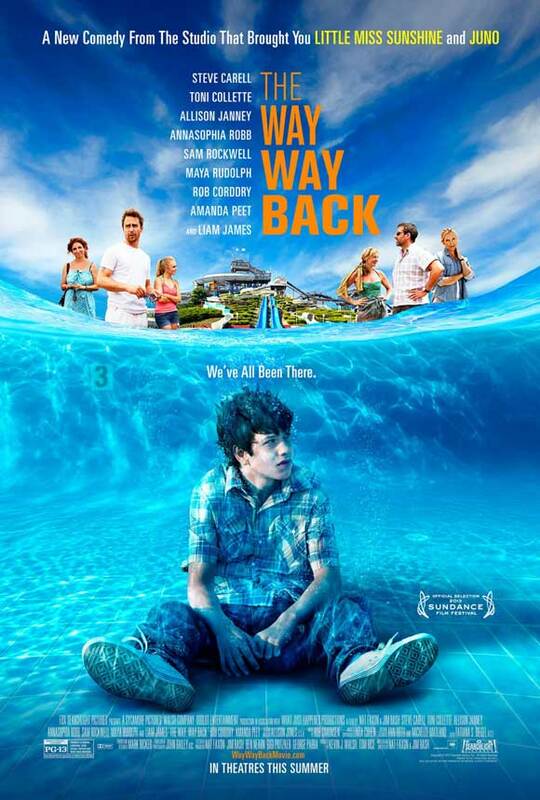 Written and directed by relative newcomers Nat Faxon and Jim Rash, The Way, Way Back promises to be a crowd-pleasing coming-of-age comedy drama thanks in part to the duo’s scriptwriting credentials – they won the Academy Award for Best Adapted Screenplay for 2009’s The Descendants. An excellent cast including Steve Carell, Sam Rockwell and Toni Collette add star-power to this story of a 14-year-old’s summer vacation with his mother and her overbearing boyfriend. Struggling to fit in, the quiet teenager finds a friend when he meets the outlandish manager of a water park. His inhibitions promise to subside as he enjoys a summer he won’t forget. Superman has always been my favourite superhero. Probably because he was the first one I experience on film in Richard Donner’s film from 1978. 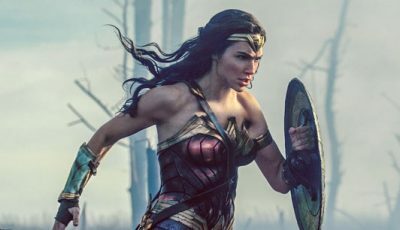 Although we’ve already had a re-imagination of the character in recent years from Bryan Singer, excitement for Man of Steel is ramped up further thanks to the involvement of The Dark Knight creator Christopher Nolan. While he isn’t directing (allowing those duties to go to 300 and Watchmen director Zack Snyder), Nolan’s presence is enough to make expectation for Man of Steel go through the roof. An origins story that takes elements from the original DC Comics, the film will see Henry Cavill play the eponymous hero with Kevin Costner as his adoptive father, and Michael Shannon as General Zod (who you might remember was portrayed in Richard Donner’s Superman and more prominently in its sequel). Steve Coogan has been very busy with drama What Maisie Knew out later in the year and Michael Winterbottom’s The Look of Love about club owner Paul Raymond (released this month). However, the film everyone really wants to see is the next instalment in the life of hapless radio DJ Alan Partridge. The character, who was first portrayed on radio before enjoying fame in television series Knowing Me Knowing You, I’m Alan Partridge and Mid-Morning Matters, is a likeable misfit who has an innate ability to offend most people through his ignorance, suddenly finds himself in the middle of a hostage situation when his radio studio gets taken over by gunmen. Is there anyone who isn’t looking forward to this concluding part to Simon Pegg/Nick Frost/Edgar Wright’s Cornetto trilogy. After the brilliant Shaun of the Dead and Hot Fuzz, this ace writer-director-actor team have proven they have the collective talent to leave most comedy movies in their shadow. Story details are sketchy but it concerns five friends who once undertook a pub crawl to end all pub crawls and, when they reunite 20 years later to recreate the event, find themselves mankind’s only hope for survival. Top 10 Films asks: what movies are you looking forward to seeing in 2013? @Chris: That remains to be seen of course but you definitely mention some noteworthy ones. Gosling and Refn in Only God Forgives is certainly something to get excited about. Although I’m not Clooney’s biggest fan, The Monument Men doesn’t count in this instance as it has a confirmed UK release date of 2014; same goes for 12 Years a Slave. The Wolf Of Wall Street will definitely be worth seeing but again I’m not sure it’ll be out in 2013 in the UK (no release confirmed as of April 28th 2013). So hopefully I’ve picked some good ones for 2013 while you mention the films we need to see in early 2014. Thanks for stopping by. The World’s End is going to be great! Oh, and thanks for reminding me about the new Ken Loach film. 1, 6, 7 and 10 are the big ones for me. I’ve already seen the Angel’s Share and it was ok. I hope Alan Partridge manages to avoid the pitfalls of many other TV to film moves. Early word on Gravity has been a bit mixed but Cuaron can divide opinion. That said, I’m looking forward to his new film. Definitely excited about Alpha Papa…Brydon and Coogan are getting back together for The Trip 2 as well which will be amazing! I just caught the trailer for “The Way Way Back” a couple days ago myself. Great cast, huh? I’m a big Sam Rockwell fan, so basically I’m stoked to see that one. This is the first I’ve heard of “Angels” and “Maisie” though, so thanks for putting them on my radar! 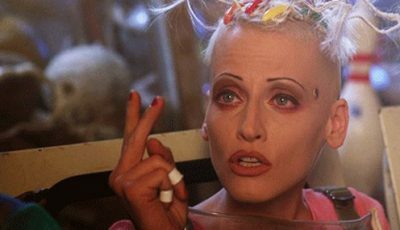 @Fogs: Glad I could highlight some films you weren’t aware of. Way, Way Back looks fun from the trailer…hopefully it’ll live up to expectation. Man of Steel and Worlds End for me. The rest I’m a bit “meh” on…. Don’t get me started on Alan Partridge either – I tried watching some of his work the other night on TV and nearly fell asleep. Did nothing for me whatsoever, which is weird because I normally don’t mind Steve Coogan. Well I just watched the Place Beyond the Pines and that was on my list prior to viewing it. Also looking forward to Only God Forgives and Mud. At least five films on your list I was unfamiliar with, thanks for the heads up. I love this article. I haven’t even heard of most of these films so I will keep an eye out for all of them. And any film that is said to be like Stand By Me automatically has me curious. I’m really looking forward to This is the End as it has one of the funniest trailers in quite sometime. Great work Dan. I’ll be looking for all these this summer. Gravity, Elysium, Kings of Summer, and World’s End are all on my list that I’m looking forward to. 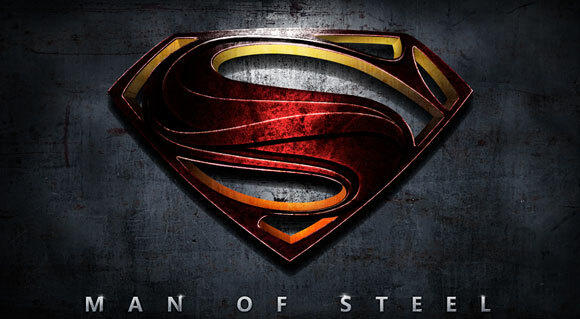 Cautiously optimistic about Man of Steel. Just saw The Way, Way Back and loved the heck out of it. My favorite film of 2013 so far. @Rodney: Haha…I’m a big Partridge fan. That’s why it features so highly. @3Guys: Mud is on my radar too. I must check out Pines when it arrives on UK shores. @Dan: I thought the same when I heard the Stand by Me connection. 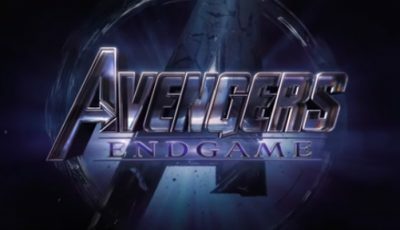 Looking at the trailer confirms the similarities but I do worry it won’t live up to expectation. 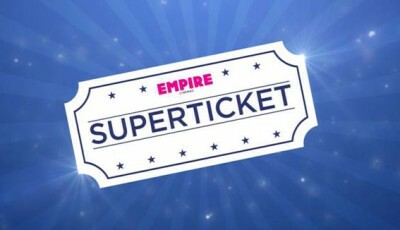 That said, I’m eager to check it out and I’m hoping for the best! Great list overall, really looking forward to Alan Partridge is in Alpha Papa and The World’s End. Great list Dan! 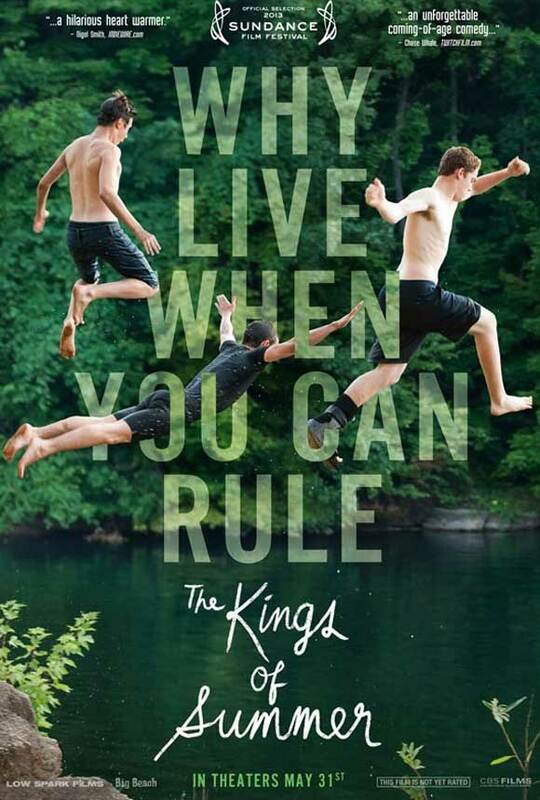 I missed out on What Maisie Knew and The Kings of Summer from a local film fest, but will look out for the for sure. 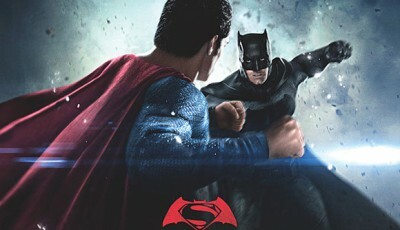 Man of Steel is at the VERY top of my list, can’t friggin’ wait for that one!! Only God Forgives and The Counselor are some of my most anticipated films for the fall/winter, but surprisingly most of my favorite films this year came out in March (Trance, Place Beyond the Pines). 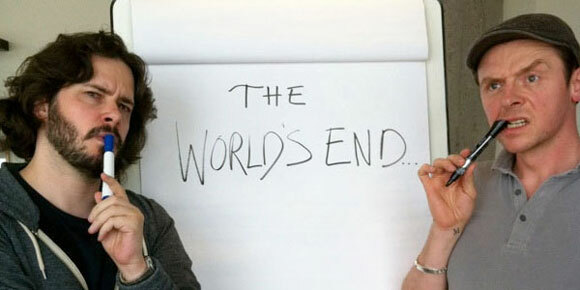 That said, I’m looking forward to the Blood and Cornetto trilogy concluding with The World’s End. What will bring about the end? Aliens, natural disaster, Honey Bobo? Nice list! Looking forward to Before Midnight and The World’s End. I might see a few of the other ones, depending on what the early reviews are like. Me? I’m anticipating Frances Ha, which I see it’s out in UK this July. Also sci-fi with Harrison Ford, Ender’s Game (2013)-out in October. The World’s End and Anchorman 2 should be hilarious. I can’t wait. Gotta say my most anticipated is Man of Steel, though. Just really really looking forward to that. And hoping it does well, too, in hopes that it will help get the gears really going for the Justice League movie. Although the one I am dying to see is The World’s End unfortunately it’s a British movie so it’s a bit impossible to be played here 🙁 The cinema here only cares for movies from Hollywood.